Okay, one more workout for you. Today, I got a quickie for you from Shawna K.
Hey, Shawna K. from ChallengeWorkouts.com. I am here in Denver. I am shooting this week for a reality show and today I am on call so I have a very short time, and so I wanted to get you into a quick workout and I thought I’d share it with you. CLICK HERE to watch the workout on YouTube. I am at a hotel gym. I am not a big fan of hotel gyms, but you can make anything work so I found myself a set of dumbbells and I am going to do a five dumbbell exercise circuit for you. We are going to do a countdown set. We are going to start with 10 reps, 8 reps, 6, 4, and 2 reps.
We are going to time this little series and then the next time around you are going to try and beat your time. This is a full body workout. We are going to start with hands on dumbbells. 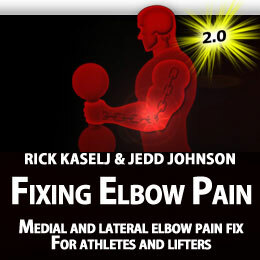 Shoulders stacked over hands, twisting the torso to touch opposite elbow to opposite knee. Right and left is one rep.
Then you are going to go directly into a deadlift with a burpee push up, you are doing 10 reps of that. From there we are going to hit the back with a bent over reverse fly. So we are doing 10 reps of that. Standing up we are going to do a front squat with narrow stance. Keep those dumbbells high on the chest, load the hips, and don’t let the dumbbells come in front. Then our last exercise is going to be a One leg Romanian Deadlift to a Reverse Lunge. That’s one rep then of course you are going to do the other side Romanian Deadlift. Try not to touch that foot down, and then do the reverse lunge. Remember it’s quality over quantity so you are not in much of a rush. We want to make sure those reps are quality reps where you are doing full range of motion, alright. That’s a quick full body workout. No excuses. You can get your workout done in a very short time, small space, with very little equipment. Give me thumbs up if you like that video and subscribe to my channel. This entry was posted on Saturday, December 14th, 2013 at 2:43 pm	and is filed under Uncategorized. You can follow any responses to this entry through the RSS 2.0 feed. You can leave a response, or trackback from your own site.